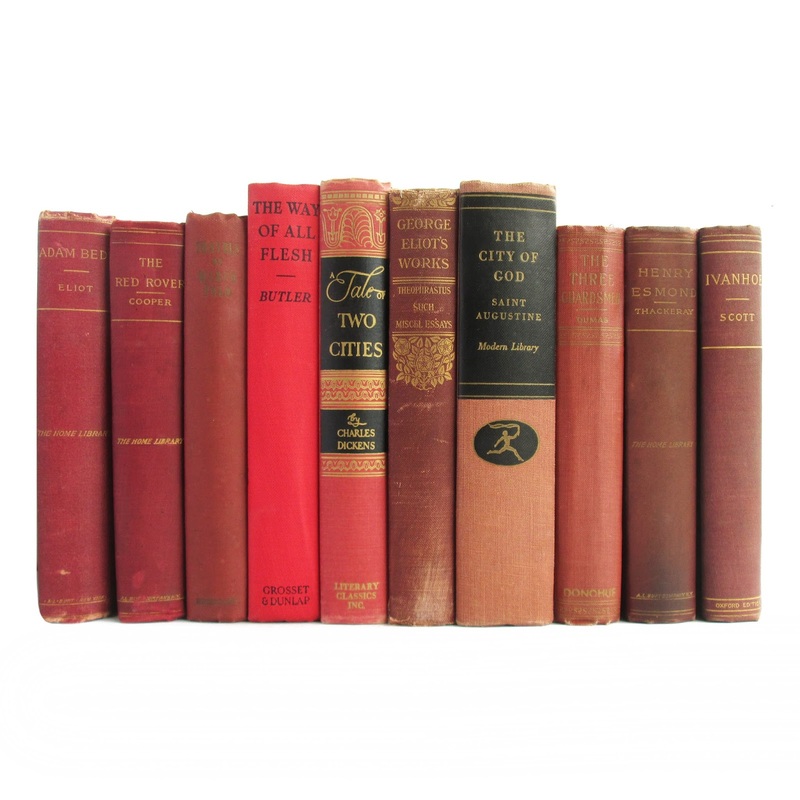 Collection of ten hardcover classic novels in red bindings. 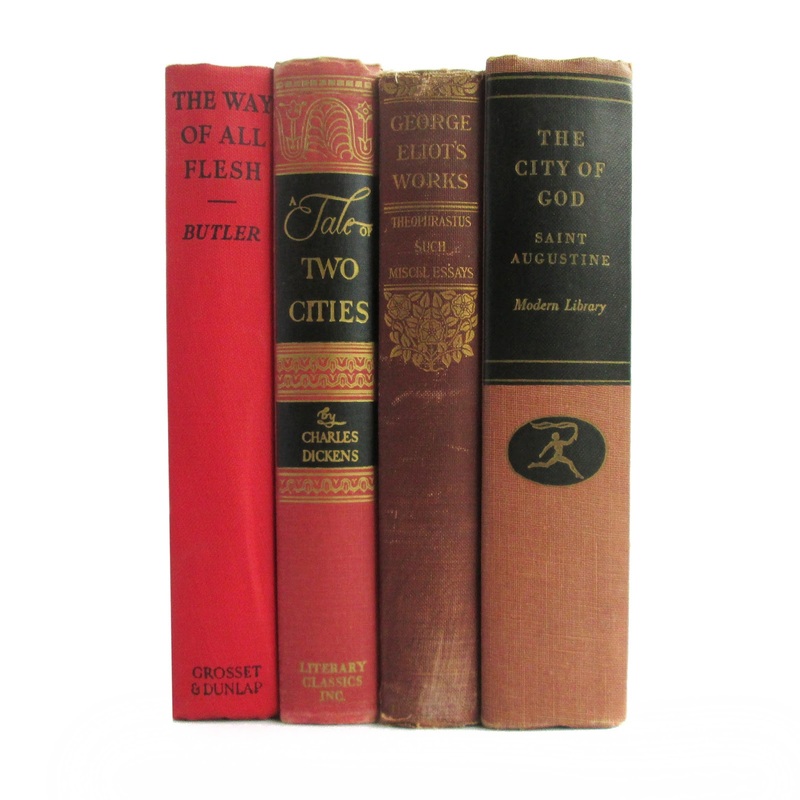 Books show some wear and soil. The Way of All Flesh - Samuel Butler. Grosset and Dunlap, no date. Clean and crisp. The City of God - Saint Augustine. Modern Library, 1950. Former owner's name, light wear and soil. 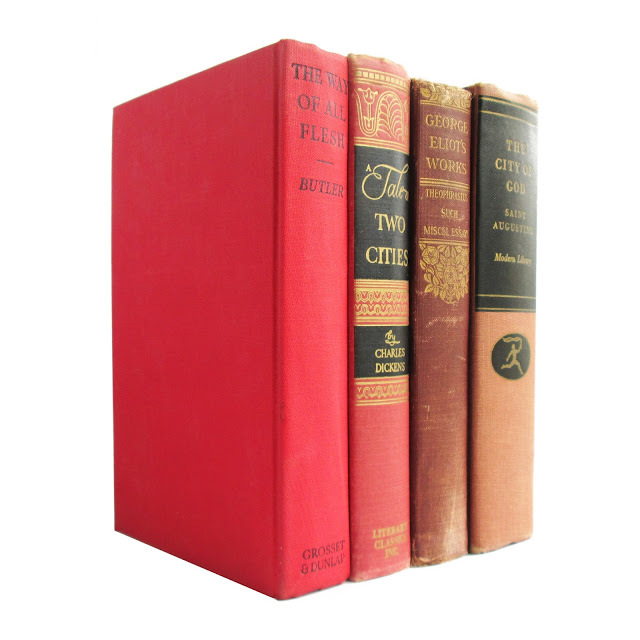 Tale of Two Cities - Charles Dickens. 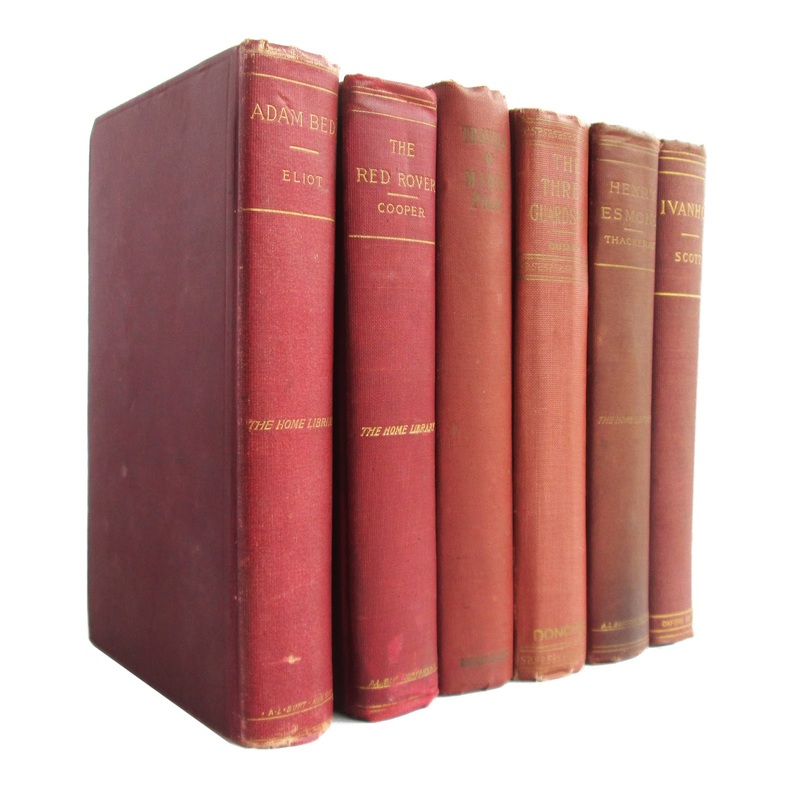 Literary Classics, no date. Corners bumped, light soil. Henry Esmond - William Thackeray. A.L. Burt, no date. Spine a bit faded, light wear. Theophrastus Such and Misc. Essays - George Eliot. Harper and Brothers, no date. Some foxing and soil, spine shows some wear. The Travels of Marco Polo - Books, Inc. No date. Spine faded, pages a bit browned. Ivanhoe - Sir Walter Scott. American Publishers, no date. Covers soiled, rear hinge broken. Pages very browned. Top edge gilt. Adam Bede - George Eliot. A.L. Burt, no date. Edgewear, soil. Some foxing. 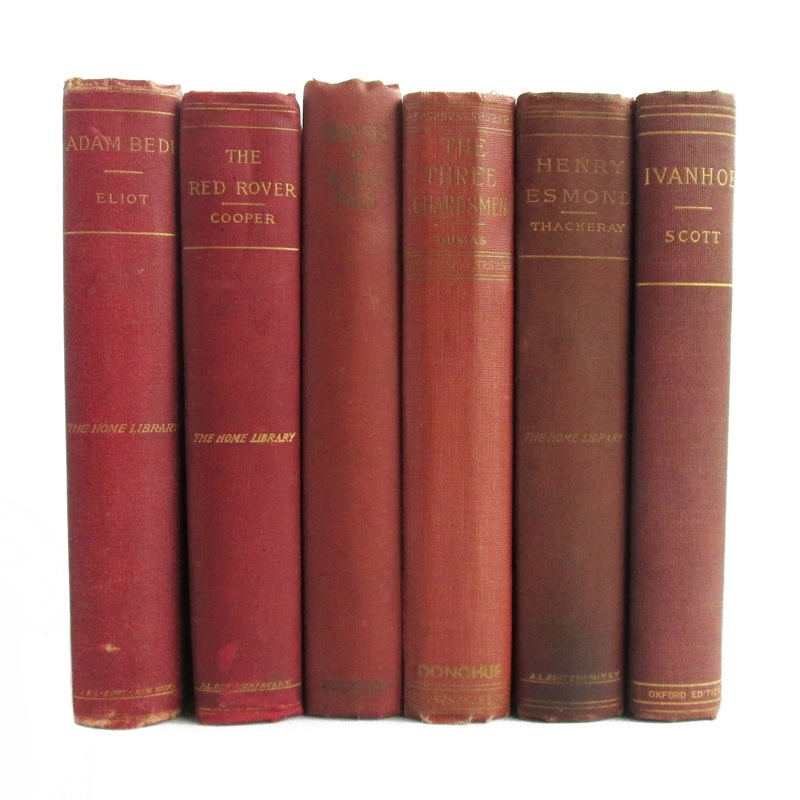 The Red Rover - James Fenimore Cooper. A.L. Burt, no date. Front endpaper removed, some soil and wear. The Three Guardsmen -Alexandre Dumas. Donohue, no date. Rear hinge cracked, pages browned. Some soil.